An armed standoff in the North End Wednesday resulted in the arrest of a 16-year-old suspect and no injuries, but police say the tense situation is likely to have lasting effects on those involved. “I’ve never seen anything like this in my career,” said Cst. Rob Carver of the Winnipeg Police Service on Friday. “I’ve talked to a number of officers who were there. There’s a lot of trauma involved here. 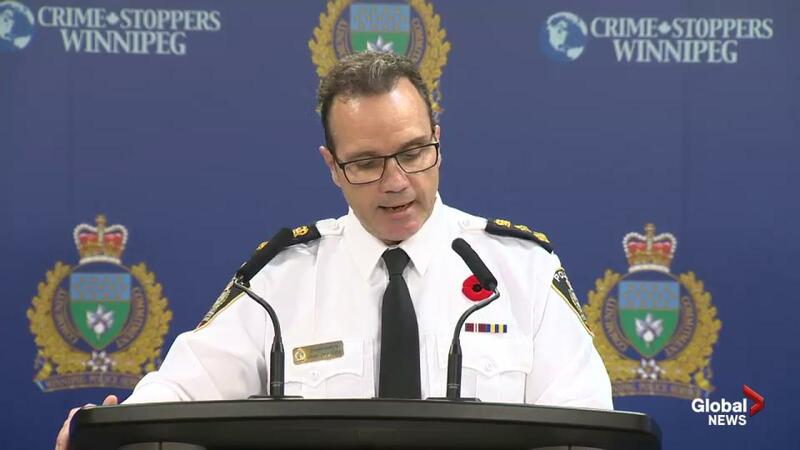 Police said the standoff, which has resulted in a laundry list of gun-related charges for the suspect, was part of a series of events in the neighbourhood. On Tuesday morning, police say a suspect went to a single-family residence on the 600 block of Magnus Avenue and fired several shots into the residence. The next day, the same suspect went to a house in the 300 block of Aikins Street and again fired into the residence. A police K-9 unit tracked the suspect from the Aikins location to a residence in the 300 block of Bannerman. They couldn’t find the suspect, but secured the house with officers positioned and the front and rear of the property. Around 12:30 p.m. Wednesday, the suspect came back to the Bannerman house, ran past officers saying he had a gun, and ran into the residence. Shortly before 1 p.m., shots were fired at officers, striking both a patrol vehicle and the ARV-1 tactical unit. When the standoff ended late Wednesday afternoon and the suspect was apprehended, he was charged with seven counts of attempted murder, three counts of careless use of a firearm, four counts of possessing a weapon for a dangerous purpose, two counts of unsafe gun storage, two counts of carrying a concealed weapon, two counts of carrying an unauthorized weapon, two counts of possessing a weapon contrary to a court order, three counts of discharging a firearm with intent, obstructing a peace office, disguise with intent, and there was an outstanding warrant for his arrest. Winnipeg Police Cst. Rob Carver at the scene of the standoff. Carver said investigators believe there’s a gang connection, but that police don’t talk specifics about gangs to avoid giving them media attention. Carver said meth is also suspected to be involved, but police are unable to say definitively. The investigation continues, with forensic teams still on-scene. Officers trying to be on top of the names, and some of them change monthly. “I’ve been doing this a long time and I’ve been in a number of positions, and it was absolutely amazing to see we did what we needed to do and did it in a way everyone was able to walk way safely,” he said.